There has and always will be a long string of free to play browser based strategy games for players to choose from on the internet, the type of games that will take a lot of time, effort and in some cases money to be able to become one of the better players. 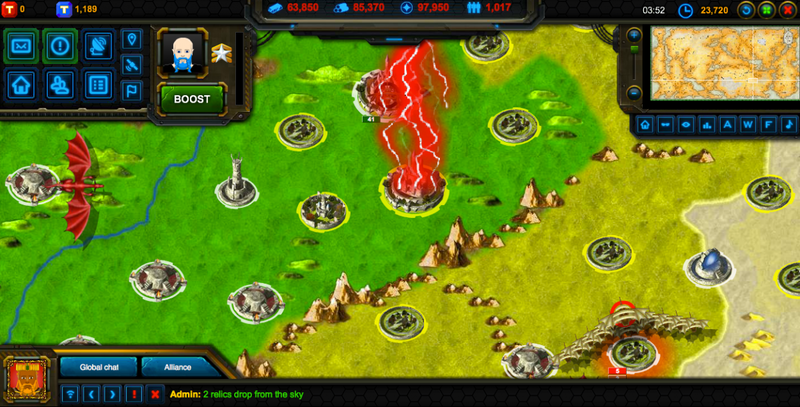 Battle Dawn by Tacticsoft is certainly one of them and has turned into one of the most popular. The game offers three servers, with the choice being between Earth, Mars and Fantasy, and players have to build up their own colony on the selected server and try to be the first player to control a total of ten relics to be announced as the winner. The game works on a turn based system rather than that of real time and requires players to think extremely strategically about the alliances they form, the enemies they make and the structures they build that can help them turn their settlement into the most powerful one on the server. A game of this kind will never be represented by excellent graphics, especially one that is Flash based and designed for a browser so that any PC can run it. You have to remember that it is a strategy game, so it is more about the decisions that you make rather than that of how the game looks. The scenery comes across as quite bland and boring but the artwork for the buildings are pretty good, so they can take your eyes away from what is not quite so good. When you first start to play the game, you would be forgiven for thinking that it is a MMORTS, yet in reality it is not. It works on a turn based system known as ‘ticks’. When you decide which game to play, you will have a choice of how many ticks you want. You could have one tick per hour, one every two hours or possibly go for some of the faster games that can have as many as 3 ticks per hour. Many will love this format as it means you do not have to be logged into the game constantly but can decide how often you have before your next turn. On the other hand, others will hate having a turn based system because you will literally have an appointment with your PC at every tick, miss some and you will fall behind in the game. Pretty much the same thing you would have to in other turn based strategy games. You start off my placing your base and have to build structures, collect resources all in order to increase and expand your army so that they are capable of conquering other players bases. There are a good selection of army units to choose from, 27 in total which does make the game extremely strategical. There are also spies that you can use to infiltrate your opponents to find out some key information about their attacking or defensive forces. 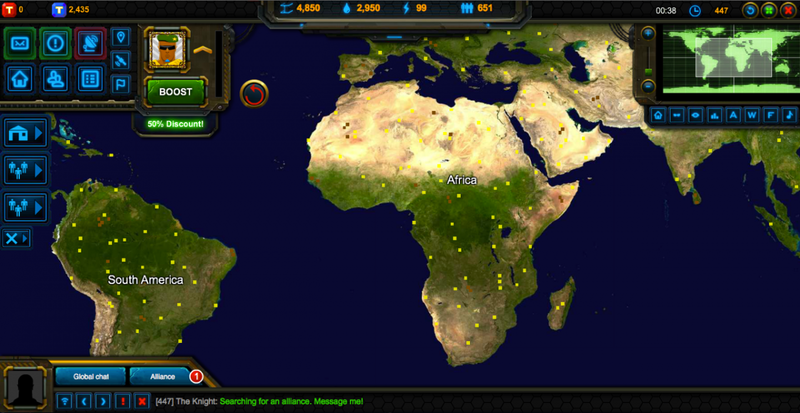 All in all, an entertaining game if you love nothing more than spending your time planning world dominance. Be warned though, it will consume a lot of your time and you will need to be near a computer for every single tick. You will find that the players that win this seem to be online constantly and never miss a single tick.